What Can Metaphysics Do For You? If you want to succeed as an entrepreneur or in any area of life, you have to stay ahead of the game. You have to learn to think outside the box and discover new frontiers for yourself. Metaphysical thinking is like a bridge appearing across an impassable river, a door magically appearing in an impenetrable wall, dark clouds giving way to sunny days, and traffic jams giving way to open roads! This may be an exaggeration, but metaphysics does add an unexpected and unbelievable dimension of color, meaning, and value to anyone’s life. The ability to think metaphysically is a gift from God. Whether you use it or not is your choice. You handicap yourself if you consider metaphysics to be “witchcraft” or “that new age stuff!” The word metaphysics actually means beyond (meta) the physical (physics). Thinking metaphysically is to think outside the box. You stop taking life at face value. You use your newfound perspective to find deeper meanings in life —meanings that shift your perspective just enough that you are able to start making conscious choices instead of the conditioned reactions that are commonplace for most people. 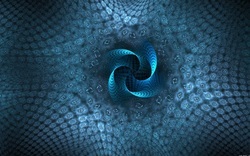 Metaphysics reveals the vital link between your world of experiences and your inner world of ideas. Why is this important? It’s important because understanding this not only gives you power over your experiences, it teaches you to think. For most people, thinking is associative and parrot-like. For those who become metaphysicians, thinking becomes a process of refining ideas—ideas that will manifest in your world. Only then have you accepted that you are God in expression. Few of us get the opportunity to set off and discover new worlds anymore, but just imagine what that would be like! The excitement — the adrenaline rush! Approaching your world with metaphysical thinking is like discovering new frontiers. The only difference is that these frontiers lie within you, but the riches extend into all your experiences. Whatever you do—whether it is being an entrepreneur, a parent, an employee, or whatever—requires an effort on your part to develop new states of mind if you are going to improve. Being an entrepreneur is not about the gathering of the necessary knowledge required to force events into happening. It is always about YOU! What have you learned along the way in your life? What lessons have caused you to re-think your attitudes? What changes are occurring in your experiences as a result? Let’s pretend that you desire to be your own webmaster. If so, you are compelled to take on new ideas, new information if you are going to be able to understand enough to do the job a webmaster does. In the process of learning, you will make mistakes, but you learn from them. You may even find yourself reasoning out new ways of doing the things you see in the textbooks. Over time you find yourself at a new level of experience. You have a wonderfully functioning web site; yet, you discover that the more you know, the more there is to know! Instead of feeling discouraged, however, you are invigorated by the challenge because you know that it will only up-level your experiences. The most important understanding to take away from this example is that “becoming your own webmaster” is just a means by which you heal yourself! Through that process, just like through any experience you have in life, you not only gain a greater understanding of the creative power that is your birthright, you start to see how you use it to increase your awareness of who you really are. Who are you? In truth, you are more than you can possibly imagine at this moment. Why is that? Your understanding—your ability to be totally at one with ideas—is determined by your consciousness, which is the sum total of your thoughts and feelings. Of course, the nature of your consciousness determines how naturally open you are to new ideas. But, that doesn’t mean that you can’t deliberately choose to access and digest new ideas for the purpose of personal growth. That’s what is so great about the process of personal growth. We can always choose to take a new path! And, that, my friends, is what Williamsen Publications' nonfiction work is all about — PUTTING IDEAS OUT THERE SO THAT YOU CAN MAKE BETTER CHOICES. Some of the ideas are directly related to the belief that you are a “spiritual being having a human experience.” Others are related to the means through which you express yourself, such as being an entrepreneur. Whatever they are, the end goal of all of them is to help you become aware of the opportunities you have to make choices, learn lessons, and upgrade your understanding of who you are. When you reach beyond the surface of teachings to see how they can be applied within your mental world, you will begin to think outside the box, and your life will change forever.